Nobuhle Dlamini no longer feels like a long shot. 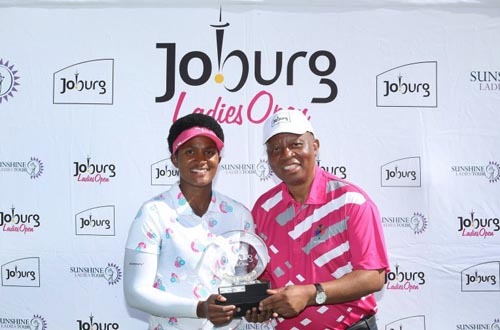 Still wrapped in the afterglow of her maiden breakthrough in the SuperSport Ladies Challenge last week, the big-hitting Swazi golfer jetted into the City of Cape Town on Tuesday, ready to fire in the Investec South African Women’s Open. “Now that I got rid of the monkey on my back, I feel like I can do anything,” Dlamini said. “I’m still celebrating inside, because it was such a long time coming. There was always one thing or another holding me back; a bad first round, a cold putter in the last round, or nerves. 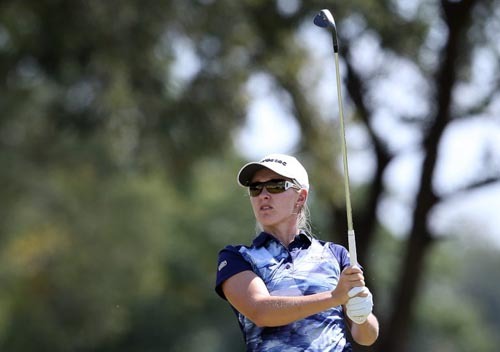 The Sunshine Ladies Tour and Ladies European Tour co-sanctioned event gets underway at Westlake Golf Club on Thursday and the R2-million showstopper will draw the curtain on the fifth Sunshine Ladies Tour season. The Ladies European Tour season, however, only just kicked off. Not only will the winner bank lion’s share of the prize money worth R317 000, the trophy comes with Ladies European Tour exemption until the end of 2019 and world ranking points. Most importantly, success on Saturday will guarantee the 2018 champion starts in two of the season’s five majors – the Ricoh British Women’s Open and the Evian Championship. “With those kind of incentives on the table, you’re going to have to play to win this week and that’s what I’m here for,” said Dlamini. Sanlam SA Stroke Play title. And the wind didn’t seem to bother her one bit at the Wild Coast Sun Country Club last week. “No, windy conditions doesn’t worry me,” said the 27-year-old. “I played a practice round of Tuesday in much the same conditions. The challenge is come over the first three holes, because the wind is very strong into you. On the other holes, it either helps you or it’s off the side. 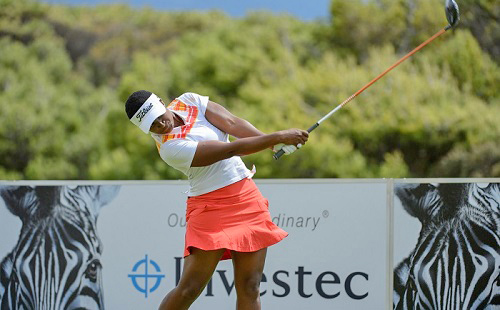 Dlamini is just over 350 points behind Investec Property Fund Order of Merit leader Stacy Bregman, who is equally keen to wrap her hands around the trophy. “Well, firstly I’d like to win the points list, because that’s worth R100 000 and it’s something really special to be the best player over a season,” Bregman said. “Obviously I already have Ladies European Tour membership, but a win would mean teeing it up in two Majors. That’s huge. Three-time champion Lee-Anne Pace will be gunning for a record fourth successive victory. She admitted that the job got even tougher with two Majors starts on offer. Entry to watch the golf and partake of the food trucks and entertainment is free all days.